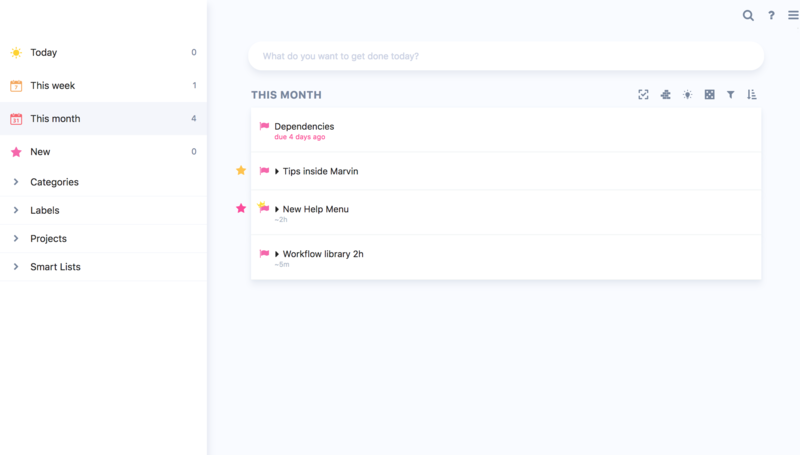 Most task managers have the basic setup of allowing you to see all your tasks through different lenses (due today, due in the next 7 days etc.) and then work directly on those lists. To mimic this behavior you can create Smart Lists to create the specific lists you want and then use a lists type strategy to get access to the Smart List in your day view. If you only occasionally need to access your Smart Lists in full width go to the Master List and make sure you have the "list view" selected at the top left. In the sidebar you can select any Smart List under the Smart List tab or a Smart List shortcut tab (how to set up custom tabs) and the content of the list will appear on the right.